Even though the usage of cannabis has become socially acceptable over the years, you should always remember that your dispensary business must operate under strict guidelines and laws. One of the most important tools to help you achieve this and streamline your operation is a dispensary POS. Essentially, the best dispensary POS system will aid with processing incoming cash, managing inventory, and other core functions. The right dispensary software should save you time and money. Additionally, it should help you to run back-end and front-end tasks efficiently. A POS system is the core of your dispensary. In other words, it’s important that you do your homework first before you commit to a a certain system. The goal is to simplify cannabis sales, and get a seed-to-sale system. Our number one pick is Cova, mainly because it is the best seed to sale software. 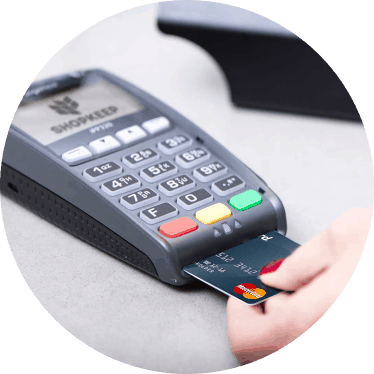 It is a reliable point-of-sale system, which is built for the industry based on years of research and expertise. Cova was made to make complex operations much more simple and help you grow your cannabis business. This point of sale solution aims to minimize human error and help you sell faster. This lets your budtenders focus on keeping your clients happy, avoiding manual transactions that take too long. Also, Cova POS is built on open API’s, thereby making a connection to your existing system hassle-free and seamless. Must Contact Vendor Fully integrated reporting systems, Customizable loyalty program, Reliable retail management software. Cova POS is a cannabis retail software, which has been designed and build to elevate your dispensary experience. Its Point of Sales Suite runs a modern dispensary smoothly and easily. Cova POS have made complex tasks to become simple, hence allowing you to focus on what you love and make your business grow fast. Since Cova can easily be accessed on mobile phones, sales can be made by users behind the counter as well as the store. Through the POS interface, you can access information like pricing, product descriptions, promotional information, and available stock. Another great accessibility feature from Cova Dispensary is the offline feature. With the offline feature, you can access your POS system at any time. This means your customers do not need to worry about paying for their product if your internet is down. Inventory management tools in this POS allow owners to consolidate stock data from different channels, identify popular items, and track product sales by weight. The software also stores client information in a searchable database, as well as tracking consumer loyalty. As we menitioned before, Cova POS uses open API’s which allows for integration with other third-party software. Cova even has a feature that can save your dispensary license from being revoked. Cova requires that all customers scan an ID to prove their age. It also automatically tracks how much bud a customer has purchased, preventing you from selling more grams than you’re supposed to. This POS system and its software are affordable. Cova has different price points for each business it interacts with. This purchasing price is dependent on the volume of customers and sales. Cova is one of the easiest systems to understand. It is simply a better option for dispensary owners who are just getting started. With a decade of experience, BioTrack THC have worked with hundreds of different dispensary owners and dispensaries to understand the cannabis business. They also aim to identify essential needs of licensed operators. Thereby, creating a compliant dispensary system that boasts a comprehensive suite of features. Features that can help you run each and every aspect of your business. Once you use this POS system, you can easily customize your inventory, systems workflows, permissions, and more. It can be able to meet the ever-changing needs of your cannabis business. With BioTrack THC, you can take advantage of easy-to-use CRM (Customer Relationship Management) tools. BioTrack THC is unique because they also provide services for various government entities. This gives you an advantage as a dispensary owner. Your system will ensure your employees and customers are following every state regulation. This POS allows you to put dispensary’s POS data into action with targeted text and email blasts based on new inventory, purchase date, and to quickly move through item nearing expiration. As a matter of fact, one can mobilize his/her most valuable marketing technique – his/her customers – by setting up referral and loyalty programs to reward word-of-mouth and return customers. This system has features that allow you to setup your discounts weeks, or even days, ahead of time. It also has integrated scales that populate weight and calculate price right on your computer screen, virtually eliminating human error, minimizing data entry, and tracking your inventory down to the exact milligram with their NTEP certified system. This company calculates their pricing differently than MJ Freeway or Cova. Instead of calculating pricing based on your number of sales and customers, they calculate pricing based on the state your business will reside in. This is because of the amount of regulations in that state. MJ Freeway is definitely an industry leader, helping hundreds of dispensaries manage their sales, using a POS system. MJ Freeway’s goal is to help you control expenses while increasing customer loyalty. 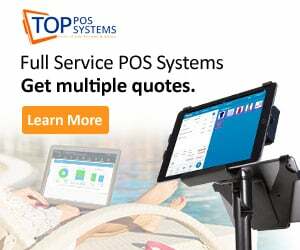 This POS system has some handy features, like allowing users to see gross profit and revenue, on-hand inventory, and bud-tender performance. Also, labor costs and future projections for sales and traffic. MJ software allows real-time integration with the helpful tools for menu integration, accounting, payroll, customer loyalty, just to mention but a few. All systems are updated if the data is changed in a single system. Thank goodness! No more double data entry. You can view data from each system in one place. A major feature of the MJ Platform is the is their system’s ability to grow and change with you. While many POS systems have the ability to provide data for multiple stores, MJ Platform takes this idea a step further. MJ Platform allows dispensary owners to track dispensaries in multiple locations, including different states. This means that this point of sale solution will even track regulations across different states, helping you remain complaint. This system understands that your time is very valuable. That is why they have a team of professionals who monitor marijuana regulations. As mentioned previously, this system will help you meet and report early and directly. The technology from MJ Freeway makes compliance easy. To date, MJ Freeway has processed over $10,000,000,000 in verified sales and boasts 7 years of cannabis analytics. MJ Platform runs an affordable price point, based on customer feedback. Unfortunately, they do not provide any mention of actual pricing on their website. MJ Platform meets each individual dispensary’s needs and does not charge any outrageous or hidden fees. This dispensary system can really grow with a dispensary owner. MJ platform is easy to use, affordable, and can even help you forecast future sales. It is suitable for any marijuana business, no matter the size. Finally, this system offers integrated customer and inventory management. Greenbits is no stranger to the cannabis POS industry. The company was established in 2014, with a goal to empower cannabis entities with a solid platform that’s easy to manage. Greenbits worked directly with shop owners to realize their true needs in a POS system. They figured out what was most important to them in terms of features, and what they would love to see added. This is one of the most important features for a dispensary POS system, and Greenbits made sure their engineers worked to perfect it. The company believes it’s important to maintain your license and go as far as tracking every package’s ID using the software. Avoid critical reporting that even an inventory manager can overlook. Greenbits believe that “hard copy” log system of keeping inventory is outdated. 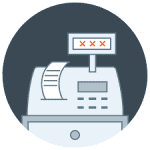 With POS technology, you won’t have to hire expensive compliance advisors to remain compliant with the latest rules. Except, paper logs are time consuming and can cause fines as high as $10,000 per occurrence. What’s neat about Greenbit’s POS is the ability to prevent any one sale from exceeding the state regulation. Also, you can verify customer information when they check-in and validate the information when they check out. Greenbits has a solid loyalty program, as their POS allows clients to earn points for purchases made in your store. The customers can use these points towards future purchases, which will keep them coming back to your dispensary. You can even choose if your clients will accrue points per transaction or for how much they spent in total. The growing cannabis business is primed for takeoff all across the nation. More than 30 states are already allowing the use of marijuana for medical purposes. Another 10 states are allowing its recreational use, and a firm cross-party political support for Marijuana laws continuing to increase. It’s only a matter of time before one can buy marijuana as easily and quickly as a bottle of aspirin. Having said that, let us look at the key criteria, which one you should be thinking of as you choose the right point-of-sale system for your dispensary. 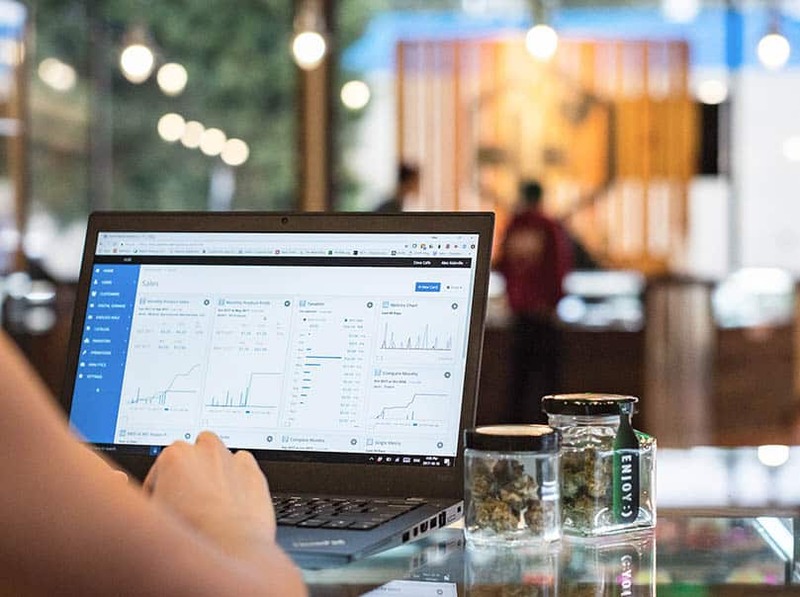 One of the key features to think about when you are choosing the right point-of-sale software for your marijuana business is the stability and reliability of the system. In case of a security breach in any of your dispensaries, data can be lost together with sales. In return, this will cost you more cash. Therefore, getting a stable and reliable point of sale software for your marijuana business provides the best opportunity for it to thrive. A well-designed dispensary based point-of-sale system works to help you improve your budtender’s performance. Also, this tends to assist the budtenders to identify/know the goods which are available for sale. This ultimately helps provide a working solution in this entity. For example, the seller does not need to remember the exact type of strains for specific ailments. This is because this information will be provided in the dispensary point-of-sale system. Your budtenders can access the previous conditions that were treated, stock levels, the strains descriptions, prices, and other important data in a matter of milliseconds. You should never underestimate the power of intuitive design. A well designed marijuana-specific point-of-sale software isn’t easy to set up and operate. 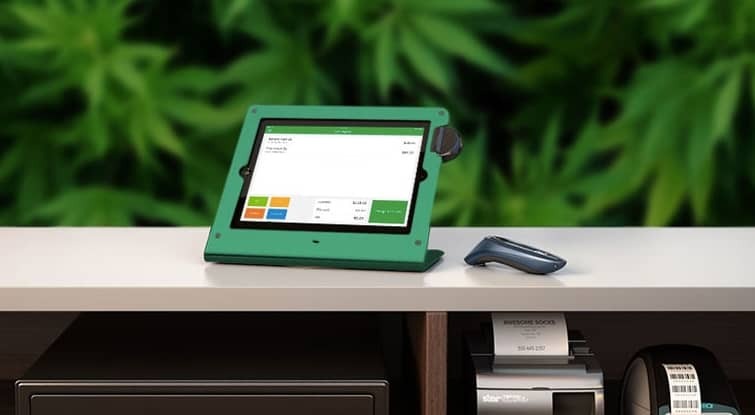 A well-designed POS system addresses specific operations in the cannabis industry. Also, a well-designed system will help you have an improved interaction as well as improved customer satisfaction during the time you spend in the industry. Staff turnover is another major issue that faces a lot of retail stores. With budtenders, as well as staff members, making their way in and out, it’s critical to make sure that you have a powerful POS software that can easily learn the ways of your business. In return, this will end up saving you a great amount of cash. Compliance is the number one administrative burden marijuana dispensaries have to deal with, every day. When dispensary owners violate these laws, their licenses are often revoked. In simple terms, this means that if your license isn’t operational, then you are not at work. This implies that every dispensary owner should strive to work for better trade in the industry. While certain requirements aren’t the same in various industries a suitable marijuana based point-of-sale software gives you a great opportunity to remain compliant. Perhaps one of the biggest fundamental choice you will have to make is where to store your data. 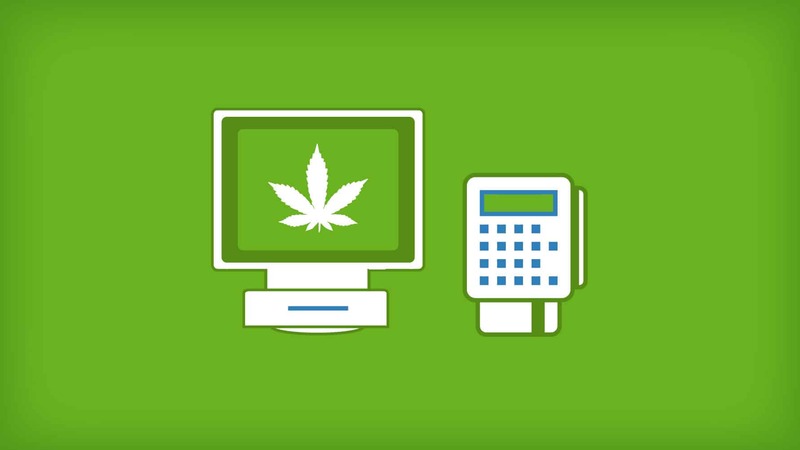 POS systems for dispensaries can be hosted locally or hosted through a cloud-based server. Local hosting of POS system involves running and setting up of your own server. This mostly entails absorbing the cost of the needed hardware and hiring of an IT employee. This method may also need additional investment in building renovations. Computer servers have certain cooling requirements, among other issues. Remote servers store information through this process called cloud-based hosting. A third party maintains and operates these servers. This is probably the most popular option of the two since it is cheaper for dispensaries and poses minor technical barriers to entry. This kind of hosting offers greater ease-of-use as opposed to self-hosted. Why? Because you do not require a full time IT specialist to operate your own server. Anyone who has retail experience in any field likely has encountered the first-hand experience with the difficulties of inventory management. It is stressful enough to keep accurate track of a store that is full of clothes. However, the state closely monitors these products. Remember, the state always expects accuracy when reporting down to the gram. Therefore, make sure you go with a POS that tracks all your inventory to the last gram. This will also provide you with the sales trend information you require. Ultimately, this information lets the owner accurately judge the different products, strains, and weights. This sale trend information helps you keep stock in order to maximize revenue. It’s always essential to remember that your point-of-sale is not a complete standalone solution. There are other components to keep your dispensary running. Your marijuana dispensary will certainly be using multiple software and hardware solutions. 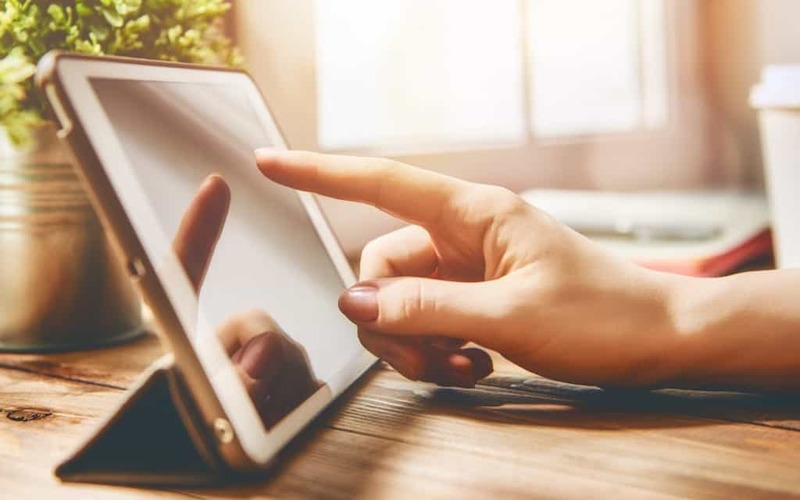 How the point-of-sale software you choose integrates with your other technology and services is an important consideration. The total cost of buying a Point Of Sale system for your dispensary can be deceptive in several ways. Most owners will mainly focus on reducing the first investment to their disadvantage over the long-term. This will cause them to disregard what upgrades or support may cost them in the near future. Moreover, some POS software provides one with the ability to actually boost their revenues. Better consumer targeting, online ordering, and upsells with boost your revenue. Therefore, remember to consider positive factors as well. There are a number of success secrets in the world of business. For dispensary owners, one of these key secrets is to manage and run your dispensary with a good POS system. Consider POS systems like Cova Dispensary POS, BioTrack THC, and MJ Freeway. This list of the best dispensary POS system is hardly exhaustive. However, it should provide a good basis for readers to evaluate various POS systems. Hopefully, you can anticipate the impact POS systems they can have on your dispensary business over time. An ideal POS software will help you do everything you can to reduce your risks and expenses. The right point of sale solution will give you all the necessary data and tools required to maximize your profits and customer experience. My company is looking for a complete POS system as well as an intergrated financials and payroll systems. Another critical requirment is the compliance to METRC in the State of California – eliminate the need for dual inventory tracking transactions in the POS system and the state-required METRC system. The POs system must be 100% compliant with METRC with only one point of entry for all inventory transaction and tracking from “seed to sale”. The POS system must be able to handle excise taxes as well. You have mentioned your top three – COVA, BioTrackTHC and MJ Freeway. What about Green Bits? We are highly motivated to identify the “BEST” POS system for us and to select the system in less than one month. Greg, Taxnexus is launching a tax compliance solution for the cannabis industry to be a module for the POS companies who aren’t focused on that part of the transaction. Tax compliance is a full time job. Look for POS companies announcing partnerships with Taxnexus in Q1 ’19. The services does accurate Point of Sale tax calculation based on type of business, type of product, and the exact location of the sale, complaint storage of the tax data, and timely filing of tax forms with all jurisdictions owed by the tax payer. Having MJfreeway on your website as a recommended POS system is discrediting your site! MJfreeway recently paid to have all there online reviews removed. (straight 1 star reviews for pages and pages) We use Mfreeway at our business and it’s cost us thousands. Customer service is absent. Employees lie about the feature MJ offers. MJ does updates during business hours which cause major issues all day. System crashes constantly, gets hacked into and does not populate numbers accurately. We call MJ almost daily with problems that never get fixed! I worked in the restaurant industry for over 20 years and am very familiar with the functions of this type of software. MJfreeway is by far the worst system i’ve used. Glassdoor website reveals some of the internal corruption. Canna, I’m sorry you’ve had such an experience with MJ Freeway. We had a few clients that we worked with directly that loved their service. I would try to speak directly with them to resolve the issue, and if not possible, I’d consider an alternative.